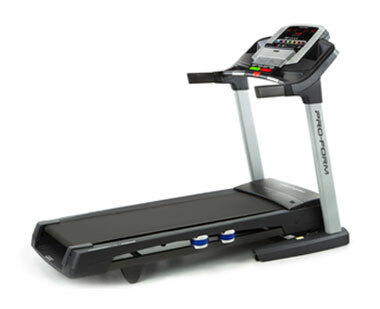 Losing weight is easy with the ProForm� Power 995 Treadmill! Weight-loss workouts designed by a Certified Personal Trainer deliver incredible results! The Power 995 is compatible with iFit Live� Technology which downloads new, personalized weight-loss workouts daily from Jillian Michaels, America's Toughest Trainer. 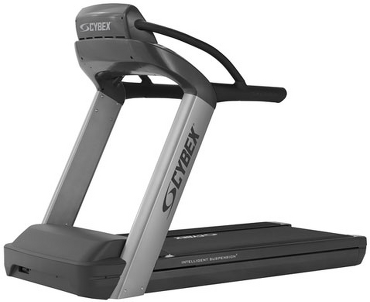 Plus, with an extra-long 20" x 60" treadbelt, QuickSpeed� and Quick Incline� Controls and a powerful 3.0 CHP Motor, this treadmill is ready to help you drop pounds and reach your goal! Work out at your speed with a motor that responds to any type of training. The Mach Z� Commercial Motor delivers incredible power for intervals, speed training or an endurance run. This motor reduces noise as it cools internal components and is ideal for a family or those who enjoy long workouts. Boost your weight loss with Quick Incline� Controls. Walking at an incline reduces impact on your joints and will help you burn fat calories fast! Plus, walking or jogging at an incline will add variety to your weight-loss workout. Quick controls adjust your incline with the touch of a button! Stretch out your stride on this extra-long deck. 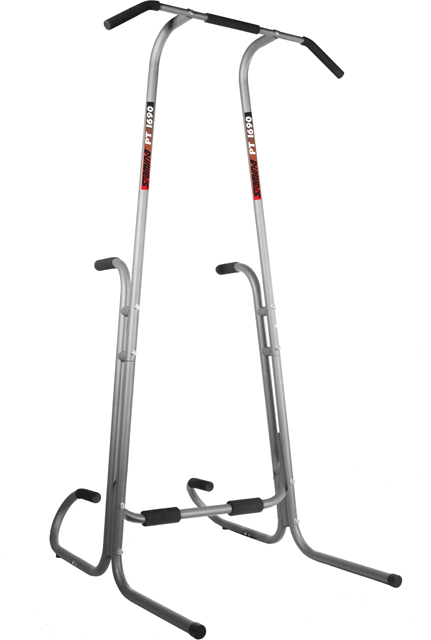 Perfect for users of all heights, you'll be comfortable while you lose weight, burn fat and reach your goals! QuickSpeed� allows you to instantly change the speed of the treadmill between 0�12 MPH with the single touch of a button. 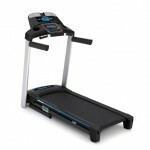 This heavy-duty treadmill is built to withstand heavy use; it accommodates up to 325 lbs. The ProForm� Power 995 Treadmill is protected with a Lifetime Frame Warranty, Lifetime Motor Warranty, 3-Year Parts Warranty and 1-Year Labor Warranty. Reduce impact on your joints with this innovative cushioning! A comfortable walking, jogging or running surface protects your knees, ankles and back so you can stay motivated to lose weight! Four isolators absorb impact and relieve tension throughout your body. Quickly fold the ProForm� Power 995 Treadmill's deck up and out of the way with SpaceSaver� and the EasyLift� Assist. Stay in your target heart rate zone for maximum results! Built-in heart rate sensors help you monitor your heart rate throughout your workout. You'll stay on track for better, faster results! Train for your next marathon, 10K or favorite event in the comfort of your living room. Powered by Google Maps�, workouts recreate the route, automatically adjusting the incline up to 15% to match the terrain. The Power 995 Treadmill does what the street does! Choose a pre-drawn training program or draw a map anywhere in the world! Lose weight with America's Toughest Trainer, Jillian Michaels. The ultimate motivation, Jillian's voice coaches you through your unique weight-loss program to help you burn calories, slim down and reach your goals! A new workout is wirelessly and automatically downloaded every day to the Power 995 Treadmill. Each workout in your personalized 8-week program is progressive from start to finish and automatically controls your speed and incline to maximize your results! Race for the title in weekly races with other iFit Live� community members. Complete the race on your schedule and compare your time with people from around the world! Track your nutrition and other activities on iFit.com. Training for a race, losing weight or maintaining a healthy lifestyle is easy with the online food and activity log. *Requires iFit Live� wireless adapter. Wireless adapter sold separately. Google and Google Maps are registered trademarks of Google, Inc.
Track your total calories burned and other workout stats on large, easy-to-read LED displays. You'll stay on top of your workout progress so you reach your goals fast! Five displays track your speed, incline, time, distance, pulse and calories burned. Keep cool while you drop the pounds with this built-in fan that features two speed settings. Quick console controls allow you to adjust the speed at any time! Reach your weight-loss goals fast with workouts designed by a Certified Personal Trainer. Each workout will help you burn maximum calories with preset speed, incline and time settings. Choose from 10 calorie-burn workouts or 10 performance workouts. It's the fastest, easiest way to stay in touch with your workout. Simply connect your iPod*, work out and then sync your results online at Nikeplus.com. *iPod is a registered trademark of Apple Inc., registered in the US and other countries. Nike and Cardiomiles are registered trademarks of NIKE, Inc. and its affiliated companies. iPod is for legal or rightholder-authorized copying only. Don't steal music. Rock your workout to your favorite music! Simply plug your iPod�* into the Intermix Acoustics� 2.0 sound system and listen to incredible sound through two 2" speakers. You'll stay motivated to lose weight! *iPod is a trademark of Apple, Inc., registered in the US and other countries. iPod� not included. Enjoy rich, powerful performance with this built-in sound system, featuring 3" high-excursion drivers�delivering incredible clarity, while reproducing a sweeping range of audio frequencies. Find out why ProForm Treadmills run harder, keep cooler and last longer than other brands.